Welcome to my "grow Your Blog" 2015 party! The purpose of this party is to meet new blogging friends and to extend an open invitation to "follow" each other. There are SO many blogs in the "less than 100 Followers" category -- more than ever before. I have met so many wonderful folks and seen some truly amazing blogs in this category. So while, you are visiting and making new friends, please take an extra moment or two to make a special effort in visiting these blogs who are just beginning their journey and want very much to make new friends. We do all remember what it was like to start as a new blogger and to want so desperately to have a dedicated family of followers! Before I briefly introduce myself -- I just want to take a moment to tell you that it has not been all that long since I was a brand new blog writer. I remember all to well what it was like to publish my blog and wonder -- "is there anybody out there who reads this?" In my early days of blogging, there were some wonderful ladies who, through their own blogs, helped me so very much--- Lynn and Dawn. I will always remember their kindness in helping me to bring attentions to my blog, and through their kindness, I was able to truly Grow my blog. Now, I am so happy to pay that kindness forward. This party is my way of sharing that with all of you --- sharing with you the opportunity to meet new friends and to "Grow your own blogs". My name is Vicki -- your host for this blogging event. I blog about all of these things. My friend Sharon Lovejoy is an amazing author. The giveaway will take place on February 15.
will be entered in the contest. so please make sure that I have a way to contact you. wonderful life in sunny California and coastal Maine. Be sure to visit her and say "Hello"! 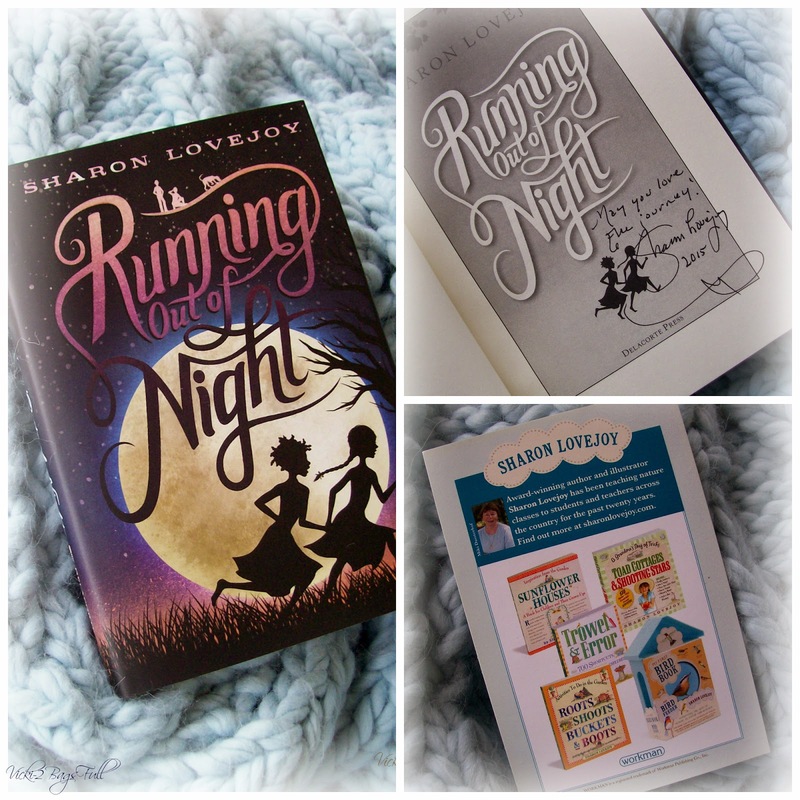 the winner of the book -- "Running Out of Night"
is Sherry from the blog Createology. NOW --- on to THE PARTY!!! 1. please check your own blogs for any mistakes I may have made. I have 40 wonderful volunteers, if your link is wrong they will catch it -- but you are free to email me as well. No need to panic. I will be home and at my computer all day --- if there is a mistake I will fix it very quickly I promise! 2. There are so many new blogs this year in every category -- but especially the "less than 100 followers" category. Perhaps you might especially try to visit some of those folks and become friends with them. We all remember how hard it was to start into blogging and to begin to grow a follower family. 3. This party post will remain up for the entire year. There will be a link to it at the top of my sidebar for the year. So please know that you will continue to receive visitors throughout the year. I would suggest that you consider leaving your party post up for a minimum of 2 weeks before you move on to you next posting. You should also consider a link on your sidebar or someplace easily found that will take folks to your party post after you have moved on to other postings. Meet my wonderful group of Party Volunteers ! Christ in Me--spiritual faith, weekly "word bytes"
2015 Grow Your Blog Party --- just a reminder that a link to this post will remain on my sidebar this entire year -- so feel free to come back and visit whenever you wish! ps -- a huge thank you to my dear friend Karen Valentine for her help in the design of this years party badge. Karen is a wonderful resource person for bloggers everywhere. If you would like help with your blog design, need help setting up your blog or making changes -- she would be happy to help you! Vicki - here is a massive hug sent with some Aussie sunshine to you for organising Grow Your Blog 2015! I had a ball at last years GYB party, I am so happy to be back & I thank you. Can't stop long I'm off visiting the wonderful blogs out there...! Hello! So kind of you to do this every year! Maybe next year I will have to add my blog. Can hardly wait for my nest! Please enter me in your book contest. I love to read! Thank you so very much for hosting this wonderful party, Vicki. I cannot begin to imagine the effort involved on your part to make this fun party happen! 'Tis a delight to wander around different blogs and discover the uniquely, beautiful imaginations of so many clever and creative bloggers! In closing, I must say that your own beautiful yarn makeries are quite simply sublime! Each and every one is a visual feast!! You have done an amazing job setting up all the links Vickie - what each blogger writes about has made it so easy to start visiting. Enough for me tonight I will be back each day to meet more of these wonderful bloggers!! Thanks for hosting again this wonderful blogging events. I know your pretty busy but can I have the link to Gypsy Spirit Rising changed? Since the sign up I have transitioned my blog over to wordpress and that is were my blog is at. Thanks in advance. I wasn't able to join this year but have made some wonderful new friends in past GYB parties. Even with helpers you must spend a lot of time setting everything up and I plan to visit participants to support your efforts as host of the party. I'd love a chance to win Sharon's book and hope you acquire new followers yourself. Bonjour Miss Vicki and merci madame for this wonderful blog party! As one of your willing volunteers I'm having a great time visiting not only the blogs in my assigned section (35) but the others which I keep coming across on sidebars. I'm going back to your post again now to drool some more! Love your "stuff", Mrs! First of all, a BIG thanks for organizing this party again. It's such a lovely way to connect with people. Thanks also for bringing your friend's book to my attention -- sounds like one I would love to read (I have a master's degree in American history and culture). I have been following your blog for quite some time now -- always a pleasure to see your projects and what you have been up to. No other words necessary ... you just ROCK. Thanks from the bottom of my heart. What a great opportunity! Hello, Vicki - new follower. Hi Vicki, I am so excited to finally be able to participate in your fabulous Grow Your Blog Party and so looking forward to meeting and greeting and making new blog friends. Thank you for hosting and all of the hard work that goes on behind the scene and to your volunteers. WOW what a list! I'll try to visit as many blogs as I can over the next few days. I also wanted to thank you and your volunteers for all your hard work in putting this together and hosting it. Vicki, thank you so much for hosting this wonderful hop. I cannot imagine how much work, time and effort goes into such a huge project. Thank you for all you do! Vicki I am just stopping by to say that I love your blog and so so so appreciate all of the hard work that you put in to this amazing event every year. I think you are an incredible lady. This is my second year here and am looking forward so much to all of the fun this event brings, and all of the opportunities to meet new folks. Thank you SO MUCH! Thanks so much for taking on this wonderful project yet again, Vicki! Your exceptional photography and delightful text are always a treat for the eyes and heart. Hugs! Thank you so much Vicki for hosting this again this year. I love being part of this as it is a delightful part of January to find lots of new-to-me blogs and great bloggers. Dear Vickie thank you for organizing all this! This is my first year but I had met many blogs last year that had your badge and that's how I learnt about you!You and your assistants did a great job! It is election day to day and we are staying in listening to all the news so I am "travelling" to blogs through Grow Your Blog and am enjoying it! I'd love to take part in your giveaway too. I love reading books especially with children and this summer I visited Beecher Stowe's house/museum as I love Uncle Tom's Cabin and everything about the freedom and equality. Bytheway Zenobia was my late grandmother's name! !ariadnesky(at)hotmail(dot)com AriadnefromGreece! friends. And I just love your work. Thank you for sharing your talents and being such an inspiration to so many. Hugs to you and have a blessed week. Nice to meet everyone!!! I changed my no-reply status and it put my email address right up there in the top corner--I'm told you should never, ever do that unless you want to fill your life with spam, so I'm going back to no-reply status. I'm told some people can't find my blog unless I have that setting? I didn't realize that! I'll start putting my blog URL in the comments I leave. Thanks for hosting another lovely blog hop! Can't wait to visit all of these amazing blogs! Thanks for hosting another wonderful year of GYB, I can't wait to visit all of these wonderful blogs! Thank you so much for doing this agian this year! Such a fun event - thank you again for hosting! One thing you didn't mention introducing yourself dear Vicki is that you inspire others to do things for charity and to help others. Through you I have been honoured to help both those going through breast cancer and Josephine's Children. You are a beautiful, inspirational person and bring out the best in us! Hi! Thanks for letting me join the fun and for hosting this party! :) You creations are beautiful! 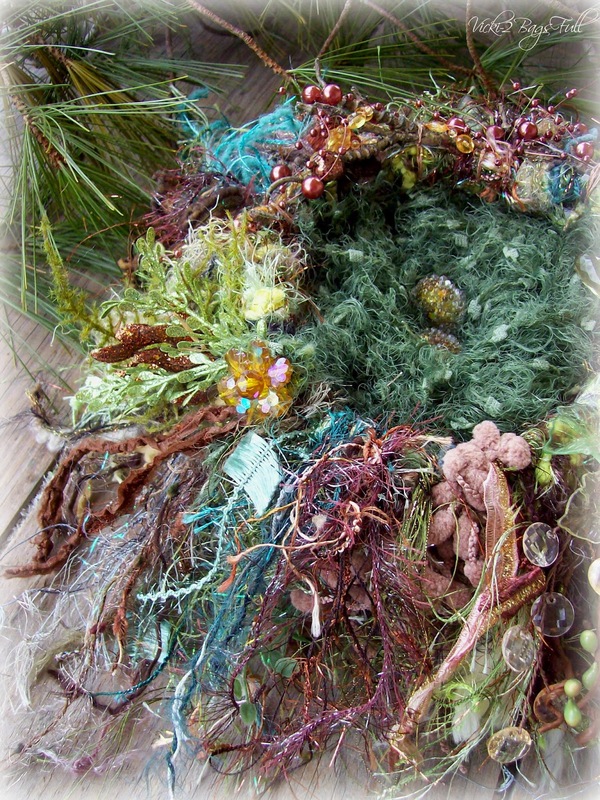 Your designer nests are fabulous! Please enter me on your drawing...love to read books too! I'd love to win one of Sharon's books! So many thanks to you Vicki for hosting this fabulous party. And it's always such a delight to see the peeks into your world and your art - a wonderful dose of inspirational eye candy! Oh Vicki, you have done it again! Thank you for hosting yet another Grow Your Blog party. I can't wait to see who my new friends will be this year! Such fun! Thank you!!! Thanks Vickie for hosting such a large and well organized blog hop party! I had fun being one of your helpers and have already found many new blogs I want to follow! Hi Vicky and all. I am very happy to participate in this great event again. I have faith in increase my followers on my blog, which is made with love and is completely eclectic, try a little of everything. Especially in this crazy mind he touched me, lol. I hope your visits and also promise to visit. 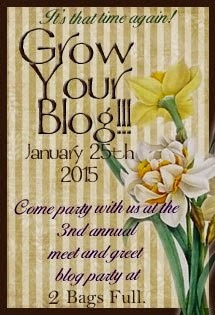 Vicky, thank you so much for all of the work you put into make the Grow Your Blog Party a success! Your hats and scarves are absolutely lovely! Greetings Vicki! I'm not sure how I arrived here to this post, but figure it must be fate. :D I tend to "lose my way" in Blogging and I'm never sure I'm doing it "right" anyway, lol, so if it isn't too late, I'd like to participate as well. Even if I'm too late to join in, I look forward to browsing participant's blogs and I wish everyone great success. Thank you so much Vicki for doing this. I met Sharon Lovejoy years ago at a herb conference and have her first gardening books but will definitely check out her others. Love my nests and so happy to be on next year's list. Thank you so much Vicki for a job well done , your work is incredibly beautiful too ! Vicki, I thank you so much for all the fun this link party has brought me today! You really are a magnet for creativity and support of one another! I am intrigued that you are a personal friend of Sharon Lovejoy. I have two of her books - the gardening ones - and just adore her. I emailed her once to say I mentioned her books on a blog post and she was nice enough to visit and comment. I had no idea she wrote fiction stories and will look into these. In the meantime, I'd love to win her autographed new book! THANK YOU! 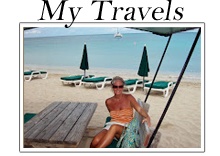 Hi Vicky, I'm stopping by from the GYB and I love your blog and I loved seeing your photos of your vacation trip. Thanks for hosting this wonderful party for us to grow our blogs. Thanks too for the chance to win your lovely book giveaway. Thank you Vicki and also you Karen for taking your time to set this up. I had so much fun, met a lot of new sites, got a lot of new inspiration! Again, thank you! Thank you so much for organising this great party. I've met so many lovely women today all around the world - so much creativity - it's been an inspiration and so much fun. Hi Vicki, I am having so much fun reading blogs in between ball games. To go across the ocean and see some more beautiful country that I can only dream about. You do such an awesome job with whatever project you decide to do. Your friendship is heartfelt. Thank you. Hugs and Prayers from Your Missouri Friend Shirley. wow, I'm amazed at the number of blogs you have posted. Hope to visit some each day. Thanks. Hello Vicki, a big wave from Australia. Thanks heaps for organising this. I can't even imagine the mind boggling amount of work you have put into this party just so that we can all have fun. And thank you for the opportunity to win that lovely book. Thanks so much for all the work you've put into organizing this year's party. I've had lots of traffic to my blog today!! When I click on the "link" I've posted on my blog's sidebar, it goes to the sign-up post from October rather than today's post with the party list. Did I copy the wrong info? Great group of bloggers. I know I signed up and can't find myself. Sending you a big sunny thank you for organising and hosting this great party from the French Riviera. Last year's GYB was one of my most popular posts ever and I'm already loving being back this year. Happy to help out too! Thank you, thank you, thank you, Vicki! You are a doll for hosting! Bless you for your hard work. HUGS! Looks like an interesting read, thank you again so much for hosting this event! Hi Vicki, thanks so much to you and your helpers for organizing this hop. I found your blog through this hop last year and enjoy reading your posts. I found some other new blogs too so am looking forward this year to seeing some old friends and making new ones. Thank you so much for hosting this again, looking forward to meeting some new friends! Thank you for not having an embedded comment box, so I COULD leave a message for you. Thank you so much for hosting this blog hop. There are so many lovely blogs to explore, I'm happy it's going to stay up all year - it might take me that long! Thank you for the book giveaway. It looks so interesting, and thanks for her link. Hi Vicki this is so much fun so thanks for the opportunity to grow my blog and meet so many interesting people. Thank you for hosting and pulling together another Grow Your Blog party this year! This is grand scale with precision planning and you do it with such aplomb - a world wide event is amazing - could you ever imagine it would become THE party of the year with so many participants!!! Love your post and seeing all your gorgeous yarn and pieces you've created - I'm sure there's more than 2 Bags Full by now!! AND oh those nests - I'm so glad I reserved mine when I did!!! You're a very special human being my sweet friend. I am not part of the party but I am going to check out many of these blogs. Thank you for listing them. I am always on the hunt for more blogs to follow! I would like to be added to the party please, if it is not too late. Thank you so much for hosting Grow Your Blog! Looking forward to meeting new bloggers and having a great time. Vicki, thanks so much for this opportunity, looking forward to Growing My Blog! I was unable to find my link. I hope I simply overlooked it! I didn't see my blogs on the list - not sure why not - oh well. I am going through to see what I might follow anyway. Do you just do this once a year? Have you thought about doing on linky - so that people could put the links on their post? Great idea! I love your view on yarn. I would love to have your yarn. I am out, the store is 2 hrs away, I don't drive so I have no way to get any. Put a halt to my crochet madness. I have never got to work with anything but Red Heart. I would love to make myself a luxurious something. I signed up. I would love to have more followers. I shared. Thanks so much! Hello Vicky! I cant find my blog. Im number 102 in the Sign ups. But now that I see it, I made a mistake and said I had 188 followers when I actually Follow 188 blogs! Hahahaha, sorry about that! I have 93 Followers. If by any chance my blog was not listen (which I think happened) could you please put me in the right spot? Under 100 Followers? Thanks a bunch! I hope you see this comment, as I see there are so many. Thanks again! And so it begins....I am sitting here in awe....First it would have taken a man with a team of secretaries to pull of this post! Yet you my dear have it all under control. Just the mere fact of alphabetizing all the blog names...boggles my mind. Grouping, counting, sorting...my hat is off to you! Not the hat you knitted for me, but a hat. It is so cold I have my knitted hat on and will keep it there, thank you very much. You are one of kind, my friend. A huge hug to you and your team for this party..And thank you for your help when I had technical issues ! I tweaked my blog some more, a few minutes ago.. I didn't realize I had made it difficult for people to figure out how to follow me until another blogger brought it to my attention.. Your friend's book looks lovely.. I just wanted to say 'thank you' again for taking the time and make this event happen for all of us. You are such so thoughtful, kind ...and just amazing! I just want to thank you for all of your hard work in this huge endeavor. I enjoyed helping you and have been a follower for two years now. I am always touched by your giving heart and selflessness. 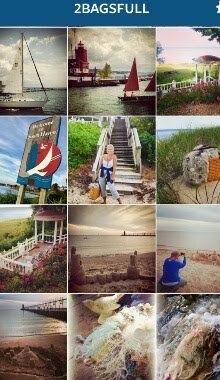 I had such fun the year that I did this blog hop. I am currently without my own computer, so blogging is on hold. The lovely things you knitted are so creative. I love the way you add flowers to your scarves. My knitting is not in that league at all. Please enter me in your drawing. Thank you, so much, for hosting this party again this year. I participated for the first time last year and loved it! I'm visiting your people. Thanks for doing this. P.S. Wonderful give of Sharon's book. Love your blog! 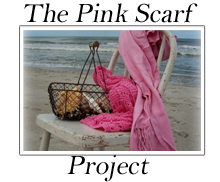 Enjoy seeing pics of your travels and adore your knitted nests, hats, scarfs etc. Thanks again for throwing a great party!! Thanks for hosting this blog party! It's such a great way to find new blogs to read. thank you so much for doing this again Vicki, and I am excited to be epxoring many more new and different blogs. It is a pity when new and lovely blogs stop blogging and i am sure it is becuase they dont feel a conneciton with their followers. Thanks for giving everyone this opportunity. what a wonderful giveaway you have - I am one of Sharons avid followers. It's so generous of you to do this again. I'll be sure to go check some blogs throughout the year. I've been rather busy with work lately and I'm almost ready for a 10 day vacation in February. I really love your blog and especially all you do to help people who matters to you. Have fun with this Grow your Blog Party. Just popping in to say thank you for hosting the fab GYB party. It is only Day 2 and I have 8 new followers and so many comment emails it is a bit difficult to keep up. I love your work and have followed since last years party from South Wales, UK. 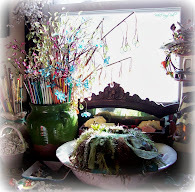 Oh my dearest Vicki, you are such a wonderful person, beautiful inside and out, my friend,- and doing so much to help other friends and bloggers. Yet another year with a fantastic work organizing all this ,to give lots of bloggers the possibility to be seen more !! You have such a big heart, and I love you, dear friend. I send you warmest hugs and kisses. Vicki - thank you so much for hosting this wonderful blogging event. I've been following your blog for a while now and always enjoy seeing what you create, where you've been and what you're doing. Thanks for being such an inspiration! 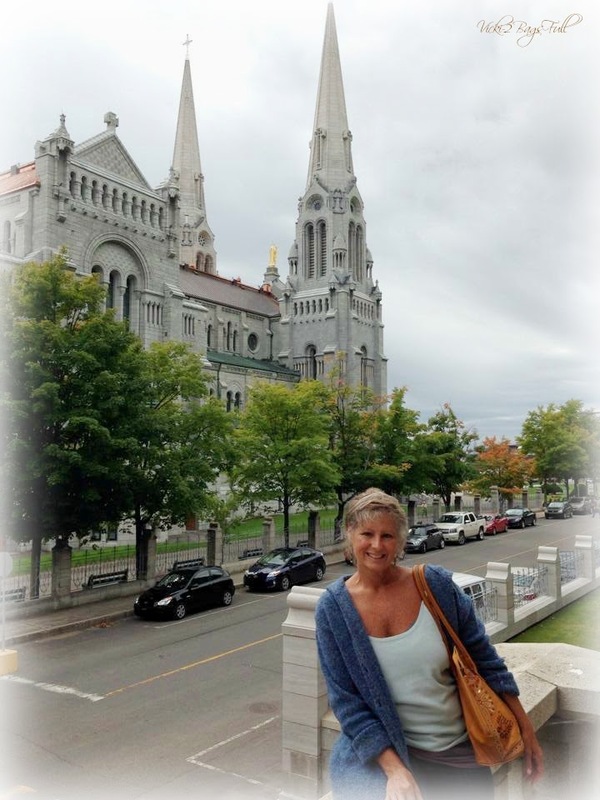 Thank you, Vicki, for working so hard once again on helping out bloggers all over the world. It is such a fabulous event, and I'll enjoy visiting many many blogs I haven't come across before. Thank you so much for organizing this fabulous party, I'm having a lot of fun visiting all the blogs! Looking forward to visiting a lot of these links! Thanks Vicki for putting this together! I've been to visit so many new blogs--and there are tons more to see! I really appreciate all your efforts (and those of your volunteers). Thank you so much for hosting the GYB party. I'm so happy to be part of it. I'm off to visit other blogs. Thanks Vicki for hosting the GYB party. I'm so happy to be a part. There are so many creative and talented folks. I'm off to visit more blogs. What a great idea!!! is it possible to add my blog to the party?!?! 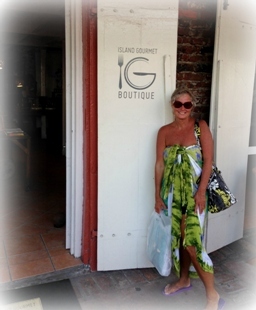 Thanks Vicki and your team for hosting the 2015 Grow Your blog. I am still making my way thought the blogs. I have already made a number of new friends. Please enter me in your give a way. Many thanks, Vicki for hosting the GYB party! I am really enjoying visiting so many delightful blogs! 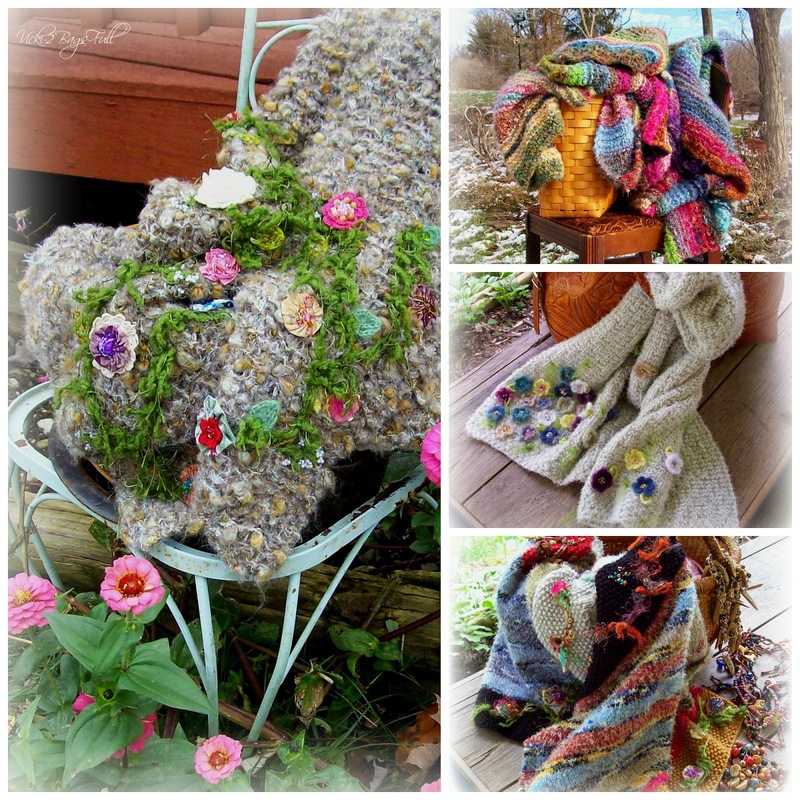 Vicki - just finished the entire blog hop...wow! !...how much talent and inspiration is out there is unbelievable! Thank you for hosting this every year! Thank you Vicki for all your work organizing this event, blogging about it, and all the time you must spend answering emails, questions, etc. A huge job, and you do it so well. I gained a good number of followers last year and am on my way to upping the numbers again this year. I've now visited over half the participants, so I'm making progress through the long list. Thanks again. Your blog is awesome, it's so inspiring. This party has been so fun! Ive visited so many awesome blogs with such talented people behind them. Thanks for organising this. Maybe one day if I start my own blog I can join in too. Oh your blog is wonderful and you are very kind to host this party. This party looks awesome. Please kindly tell me, how may I join this party please? I have less than 100 followers. I read the entire post but I did not catch how to join. It looks like a really great party! Thank you Vicki for hosting this event. I don't have a blog but I do have a few favorites that I follow. Yours is one of them. I have found a few more that are just as beautiful as your. Thanks for sharing. Keep up the great work. I would love a chance to win that book! She is author of one of my favorite gardening books for kids! On the flip side, I've nearly double my readership. So exciting! I can't imagine organizing all of this. Thanks so much (you and your volunteers) for taking the time to do this. What an undertaking. It is so wonderful that you host this opportunity for so many bloggers. You are a kind soul! I am so glad to have found your blog, although just to late to join in this year! Vicki - I just wanted to stop and take a minute to send you some virtual love and thanks for all that you and your helps have done to make this such a fun party. I have paid a visit to all the blogs on the tour and have discovered a great many that I hope will become regulars in my life. Thank you SO much!!! Hi Vicki, I don't know how I could of missed it this year how very disappointing I enjoyed it so much last year and made some new friends"
The party is interesting. It helps to learn about other bloggers. It would be cool to win one of Sharon's books. They look great. Vicki-you have really outdone yourself this year. I am going to try to visit every blog. how are you? Thanks for hosting this again. I was on vacation and am finally getting back to visiting some of these wonderful blogs! What a great gesture towards helping new bloggers as well the ones who are keen to have followers! I came to know this through Stephanie's the enchanting rose blog. How can I participate? Is there still time left for me to enter my blog? There are no words to really thank you for all that you do and it's not just putting on this party - it goes way beyond what any of us could dream you do for humanity! Love you dearest friend and I am so full of gratitude for making this party such a success. I'm still enjoying visiting so many blogs and it will take sometime yet to get through them all. Love all that you create and especially you! Hello Vicki, Thank you soo much for hosting this event, I signed up but unfortunately I didn't make the list this time,probably too close to the deadline!despite this I have grown my blog with other quilters/crafter's coming over to me from other blogs. I am having a great time visiting all the blogs out there. Will keep popping by to check out a few more. Thanks again. at Monkey Business and Quilts. This is such a lovely idea, and a wonderful way to make friends!